The Minivers’ enemies are triumphant. Emily is a prisoner, shut up in the home of her ex-security guard. Now Rosamund is alone in the world – and in charge of both their fates. 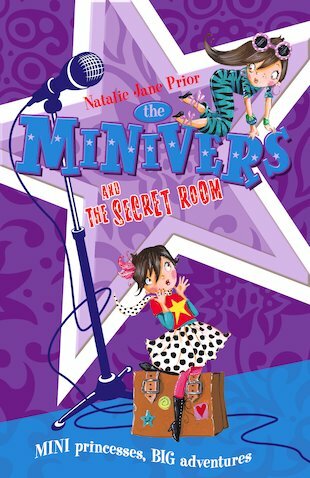 With the evil Madame hot on her heels, her only hope is to find the room where the secret of the Minivers’ mysterious existence has been hidden since their birth. If she fails now, the Minivers will lose their throne, and their shattered kingdom, forever… The third gripping adventure following the trials of two sassy sisters who are only two feet tall!